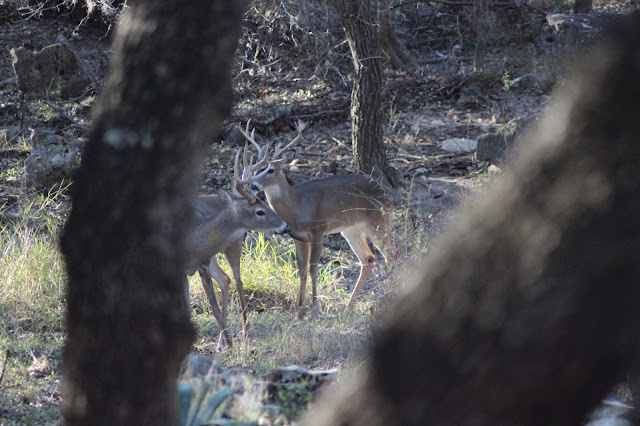 In this particularly mild winter in San Antonio the whitetail deer in our neighborhood seem confused. The deer rut or mating season occurred as usual last fall. We saw all the activity among the local herd, and then they formed bachelor herds which occurs when there is no competition among the bucks. This bachelor herd walked through last week. The new fawns should be showing up soon. Over the weekend we noticed a couple of bucks looked injured as if they had been fighting which seemed odd at this time of year. Yesterday I shared my recent visit and the new plants I picked up at Yeya's last week, but I saved something special for today. 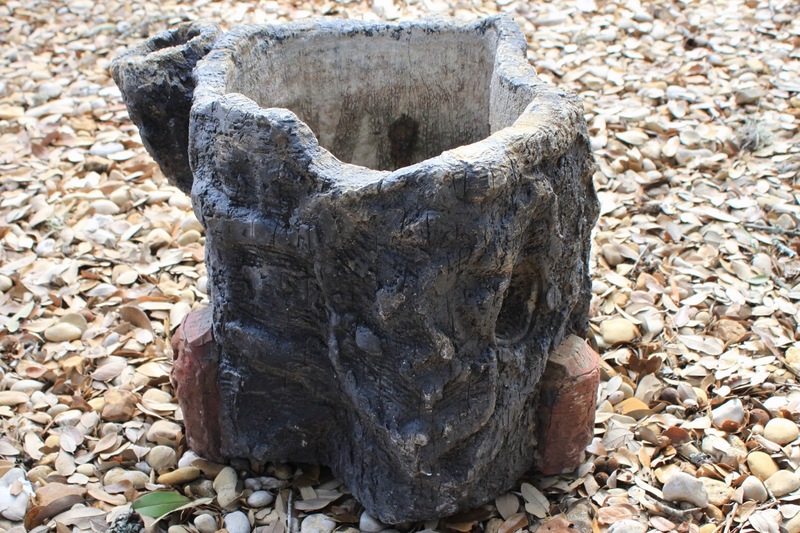 I'd been considering this faux bois planter with the bad paint job for a while and I decided to purchase it. 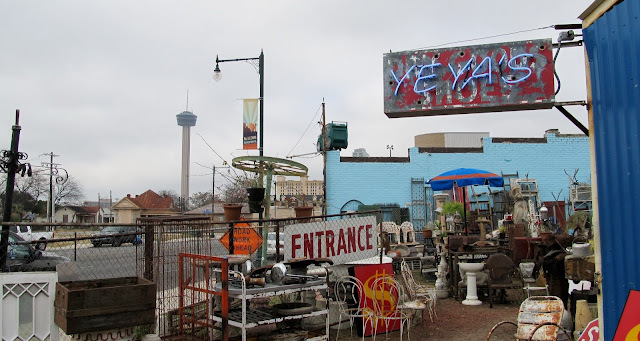 One of my favorite places for garden things is Yeya's Antiques and Oddities just east of downtown San Antonio. I first wrote about Yeya's a year ago and I have been back there many times since. It's about time for an update. This area is known as "the yard". Mario brings in lots of cool stuff on a daily basis. The vintage garden chairs near the entrance sign (above) were being unloaded by one of his pickers just as I arrived. First new plant of 2013! 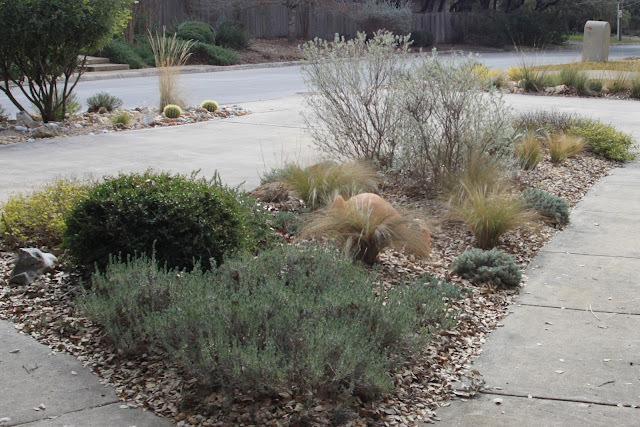 In my last post I asked for recommendations to fill the spot in the front garden where two Texas sages had recently been removed. The votes were cast by readers, tallied in a secret location, and delivered by computer. The unanimous choice of the Academy of Blog Comments (ABC) was......Envelope please! 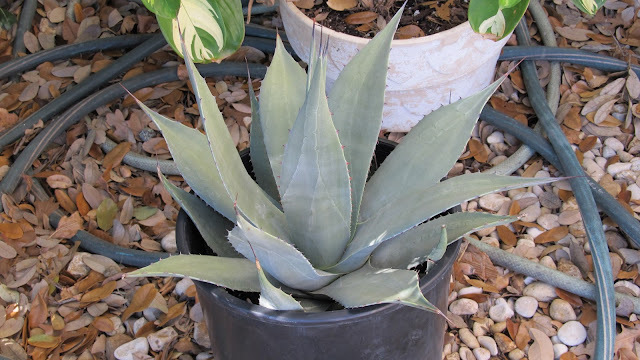 The "New Mexico Agave" or Agave neomexicana! Here it is just after I brought it home. Isn't it cute? 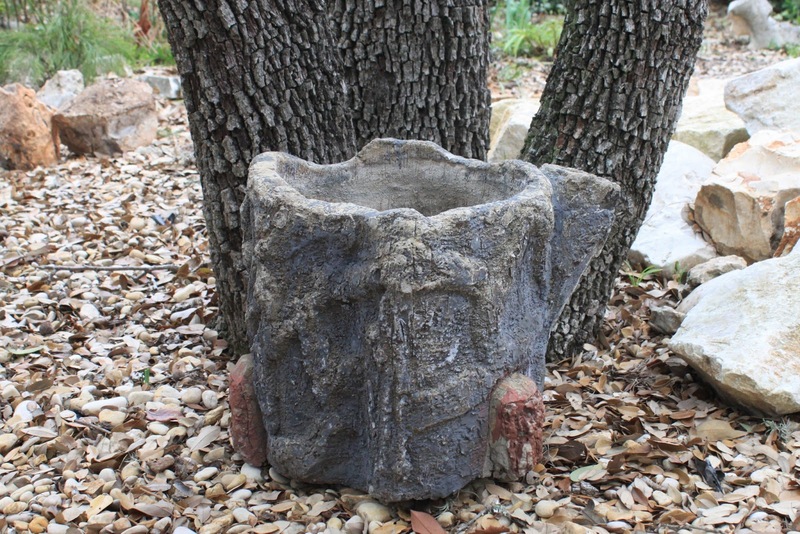 Winter is a great time for major garden projects in south Texas. The mild weather allows us to enjoy working outside longer and most plants are dormant making them easier to move. Back in November we removed a Texas sage from the mailbox bed near the street and this weekend we pulled out two more sages in the driveway island bed. They had outlasted their value in the front garden and even with frequent trimmings they just didn't look right with the new landscaping. The sages are the tall gray shrubs in the center of the bed. 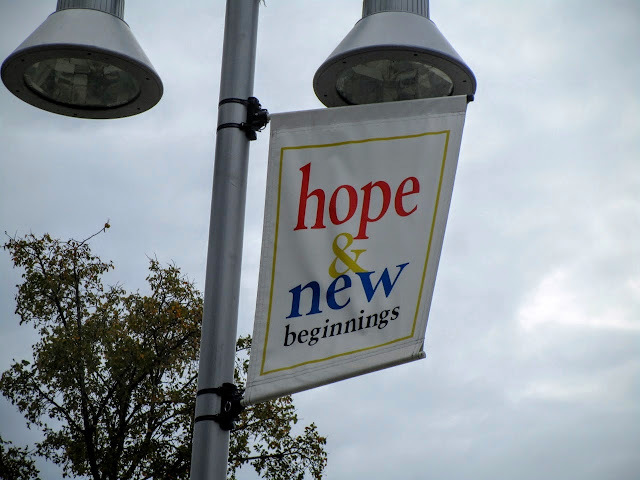 A few weeks ago David of Tropical Texana posted results of testing free online collage formats. One of his collages reminded me of my favorite effect in Fotoflexer. It's the "pop-art" effect which will turn your photos into a Andy Warhol style masterpiece in seconds. 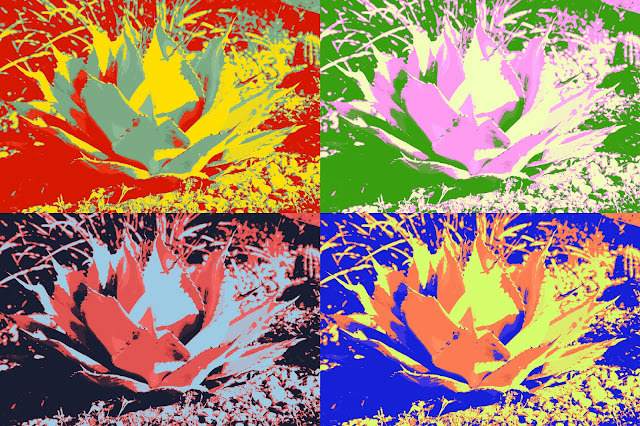 I played with several photos and my favorite is this agave. Printed out on poster paper or canvas it would be a fun piece for a wall. Since it's slow in the garden I'm going back through photos for interesting things I've found along the way in the past year or so. This pie-shaped spot surrounded by two retail parking lots often catches my attention as I drive by. 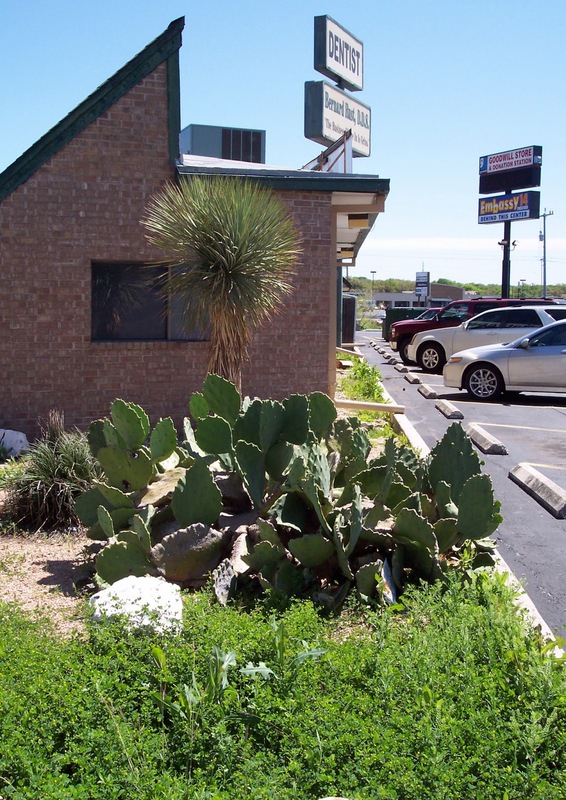 A tall yucca with opuntia and ornamental grass at the base are good choices for landscaping in our climate. Nice looking, simple, and low maintenance. I think David at The Desert Edge would approve of this arrangement although you might not see this combination in the wild. For January's Foliage Follow-up Day sponsored by Pam Penick at Digging I'm giving a tour of the garage. The garage? January is challenging because much of the foliage in the yard is brown, tan, or non-existent. It's been cold for San Antonio, dipping down to freezing or just below for several nights in a row and my tender foliage plants have been sent to the garage for a few weeks. We'll visit them there to see how they're doing. 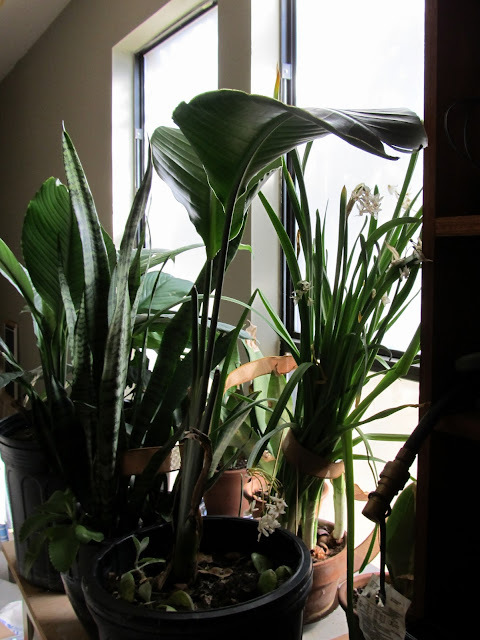 The sanseverias, strelitzia, and the spathiphyllum are waiting patiently by the window for better days in the spring. 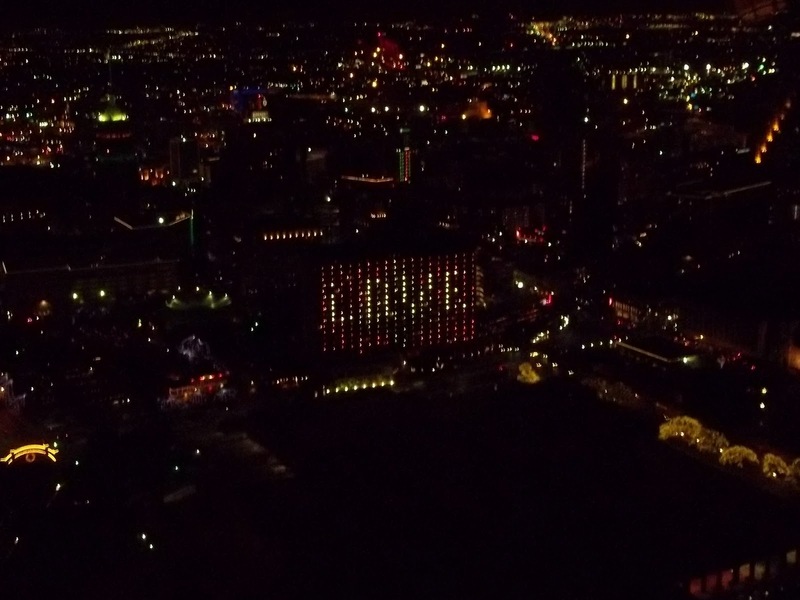 This is the fourth in a series of posts covering the San Antonio River Walk which is one of our country's top tourist destinations and the #1 destination in Texas. Most visitors spend their time along the small section downtown known as the Paseo del Rio. There's much more to the River Walk and I've set out to show you the entire 15 miles that most tourists miss and local residents enjoy. 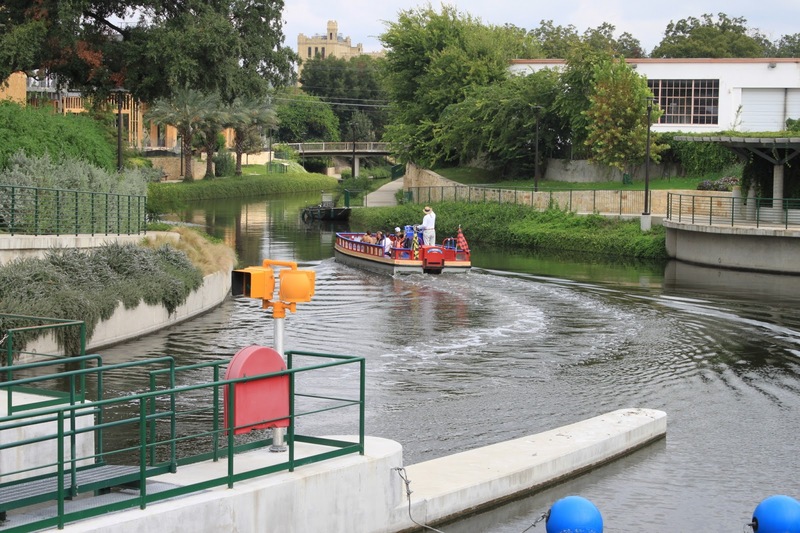 My posts are covering the San Antonio River beginning at the Pearl Brewery on the north end and heading south to the San Antonio Missions National Historical Park. We'll begin today's walk at the Navarro Street Bridge and head south to Houston Street to the beginning of the popular Paseo del Rio loop through downtown. 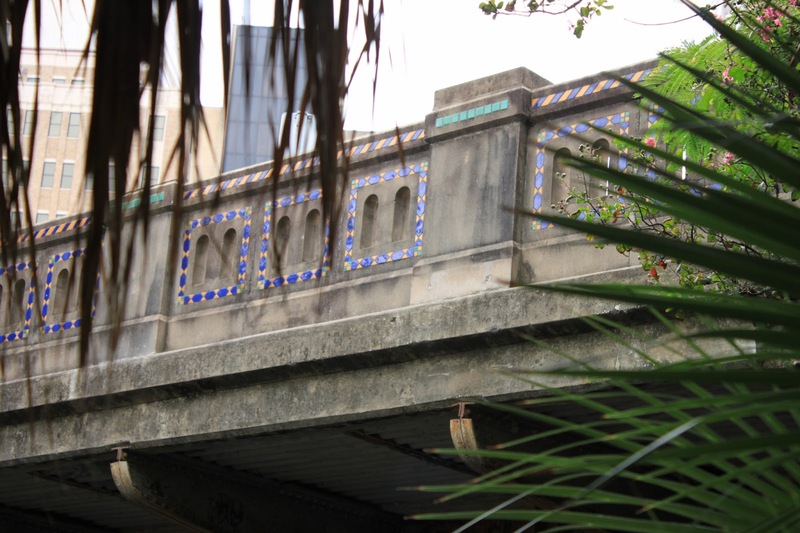 The Navarro Street bridge is decorated with tile mosaics and is one of a series of pretty bridges crossing the river. 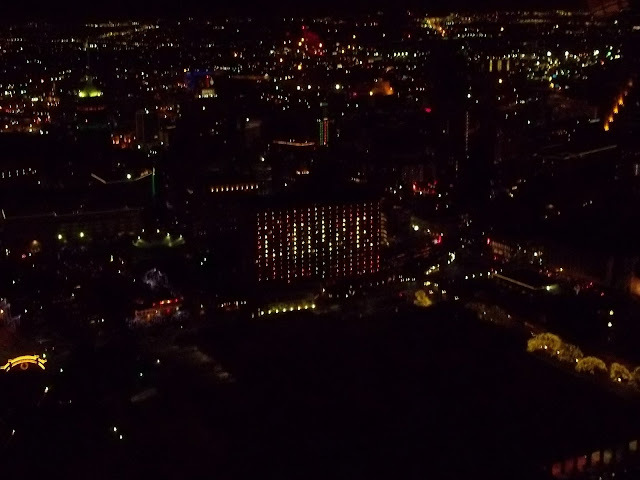 This is the third in a series of posts covering the San Antonio River Walk which is one of our country's top tourist destinations and the #1 destination in Texas. Most visitors spend their time along the small section downtown known as the Paseo del Rio. But there's much more to the River Walk and I've set out to show you the entire 15 miles that most tourists miss and local residents enjoy. My posts are covering the river starting at the Pearl Brewery on the north end and heading south to the missions. In two previous posts I showed the Museum Reach section which ends at the locks and you can find those posts here and here. Today we'll begin at the Brooklyn Avenue bridge just beyond the locks and dam and go south. This section marks a transition from the newer Museum Reach to the older section at Navarro Street on the north side of downtown. We start today by looking north from the locks at the section covered in my last post. 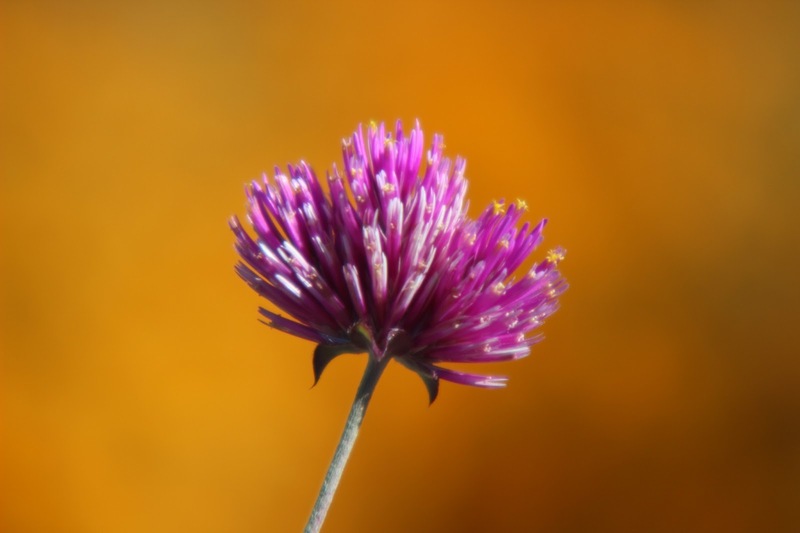 The Outlaw Gardener posed questions about blogging in a comment a few days ago and I promised to answer soon. I think it's been a week, long enough to interview myself and make up some answers. 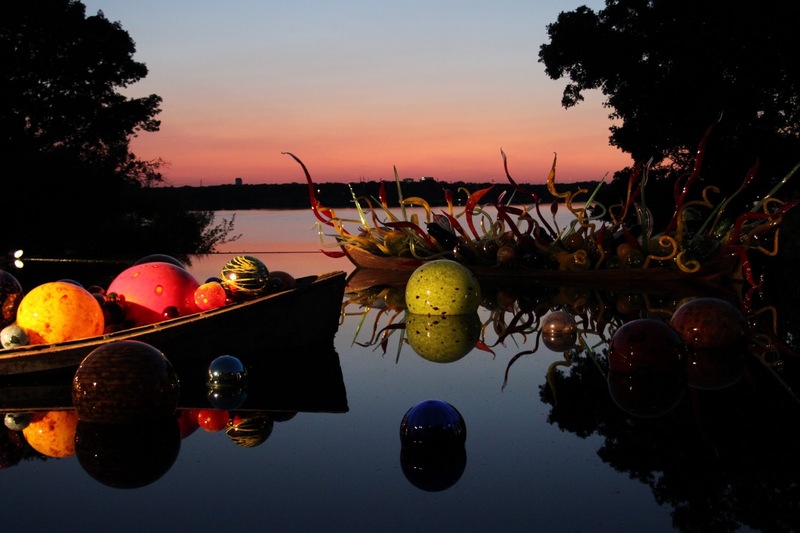 The challenge from Les at A Tidewater Gardener is to pick my favorite photos of 2012. Favorites are a little different than best because sometimes the story helps a photo quite a bit. That doesn't make it easier to narrow them down though. Here are my choices for 2012 with the stories behind them. Chihuly Nights at The Dallas Arboretum in May. Since I had never been to the arboretum I studied the exhibit map in advance and guessed that the ponds might be the best place to watch the sunset. A rare calm evening meant mirror-like reflections on the water.